Books about money are about as intriguing as reading the latest colonoscopy research, unless you work in finance or are a colonoscopist. The whole budgeting and financial planning process feels like a financial physical – necessary, but can’t we put it off a while longer? But financial fights…those are interesting. Name-calling. Blaming. Responsibility-shirking. Shaming. Why do we fight about money? Because when we look at how we relate to it, we’re getting a glimpse at what really matters in a person’s life. Show me your bank records and I’ll show you your priorities. You’ve probably heard that there are two types of people when it comes to money: the nerd – the one who’s good with money – and the free-spender. Am I right? Hardly. Those easy, simple-to-remember categories we slot people in (including ourselves) are far too narrow to really portray reality and only label behavior, not motivation. And, motivations are where things get really interesting. There are seven core money motivations, what I call money types, and your money type is a way to describe how you think about, feel toward and behave with money. When you understand your money type you’ll understand why you do what you do with money: why it matters to you; how you can use it to bring you joy; why you feel shame; why you have tension internally and with others. 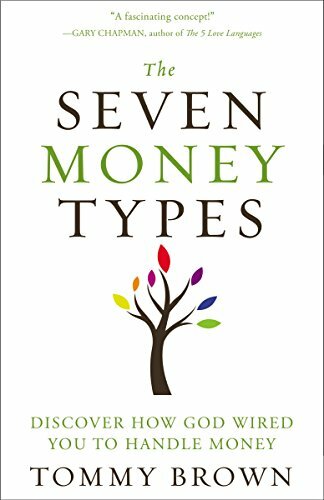 There are seven money types because, I mean, come on, seven is the magic number with God. And, of course, there are seven biblical characters who represent these types. Why? Because if there weren’t, Christians wouldn’t take me seriously. Okay, I tell the whole story about the theological underpinnings and all that jazz in the book (subtle plug, huh?). Like Abraham, this type loves to use resources to demonstrate hospitality. Why show up to the party with a peel-top container of guac and chips when you can bring homemade seven-layer bean dip? The Abraham type loves to exceed expectations and make others feel special. Like Isaac, they’re disciplined with resources, persistent and maximize everything. No friend of the local fro-yo because, really, is spending $14 on that junk being a good steward? The Isaac type makes the most of every dollar. Like Jacob, they use resources to create beautiful experiences. Did someone say $14 yogurt? The Jacob type throws their child’s birthday party at the fro-yo shop and invites cirque de soleil to perform. With a flare and eye for extravagance, Jacob types make life sparkle and pop. Like Moses, this type loves order and has strong financial endurance. A Moses type is steady and consistent, has a budget for their budget and has probably thought about their budget twelve times today. They’ll mind their own money and yours too. Like Aaron, they’re sacrificial, others-minded and don’t think a ton about their own financial well-being. Aaron was the only of the twelve tribes to not get an inheritance in the Promised Land. The Aaron types are strong on social justice, skeptical of wealth and make you feel like a capitalist jerk if you have a retirement account. Give it all away, they say, citing Jesus as example. Like Joseph, they are gifted stewards and strong interpersonal connectors, using money to forge important relationships. This type is the mayor of whatever they are part of, kissing babies and shaking hands all the time. The Joseph types love to use money to make connections, and you’ll find them at the coffee shop like everyday. Like David, they’re leaders, especially in the financial space. All about the future and raising up the next generation of leaders, David types live in the financial future. They’ve started three businesses in the time you’ve taken to read this post. What are you doing with your life? You can think of this concept as The Five Love Languages for finances, or the enneagram for money (that doesn’t roll off the tongue as well). No type is better than another. The goal is growth, to use money in a way that brings you joy while being aware that others relate to money differently. How can you create financial space in your budget to express your type? How can you become more aware of how your type affects your spending patterns? Have we talked about the fact that each type has a shadow side? The answer is no, because these articles are supposed to be 500 words and I’m at 775. To find your money type, take the quiz here. Hopefully, this was more fun than a colonoscopy! 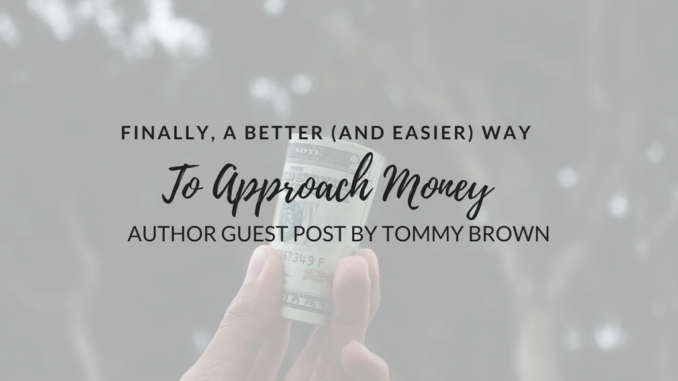 Tommy Brown is author of The Seven Money Types, and lives in Winston-Salem, NC. 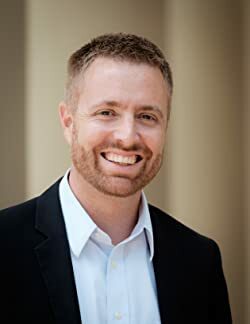 He served in leadership at two churches as an ordained minister from 2001-2014, leading congregations into financial wellbeing and a holistic approach to integrating faith and finances. Tommy has a B.A. in Pastoral Ministry and Masters degrees in Divinity and Management.